The Lessons Learnt and Reconciliation Commission (LLRC) has no expectation to meet the UN Secretary General’s Panel outside the country. 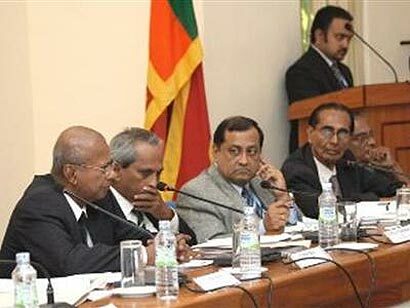 “In the event of the government facilitating them to visit Sri Lanka, we are willing to meet them here in the country,” LLRC media consultant Lakshman Wickramasinghe has said. Earlier the Commission had said any decision to facilitate the UN SG’s Panel to visit Sri Lanka lies entirely with the Government of Sri Lanka.